Wydział Inżynierii Produkcji PW, Gmach NT , 19.01.2015 – 31.01.2015. Profesor Meir Shillor, Department of Mathematics and Statistics, Oakland University (USA) wygłosi wykład: Dynamic nonlinear problems with contact. Profesor Ilan Riess, Physics Department, Technion – Israel Institute of Technology (Izrael) wygłosi wykład z serii: Transport of matter and charge in solid. 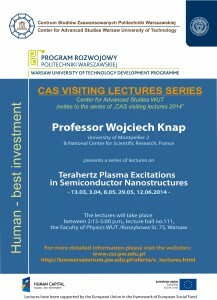 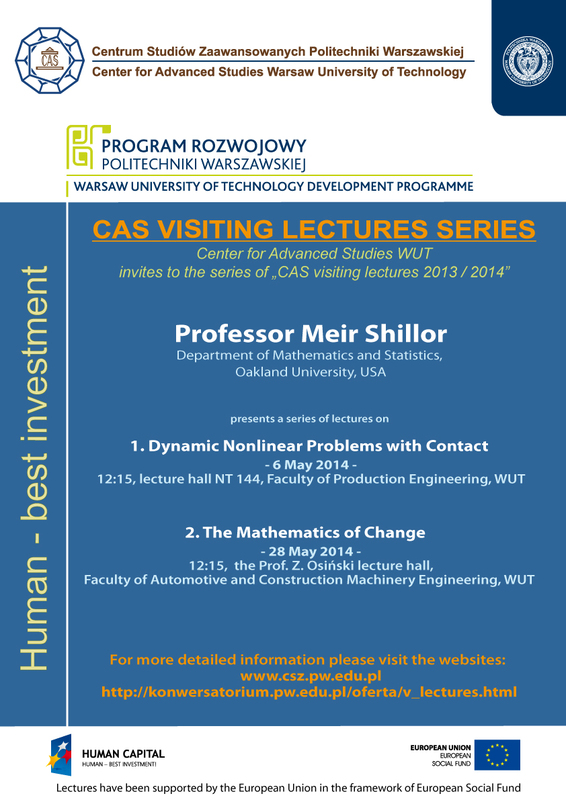 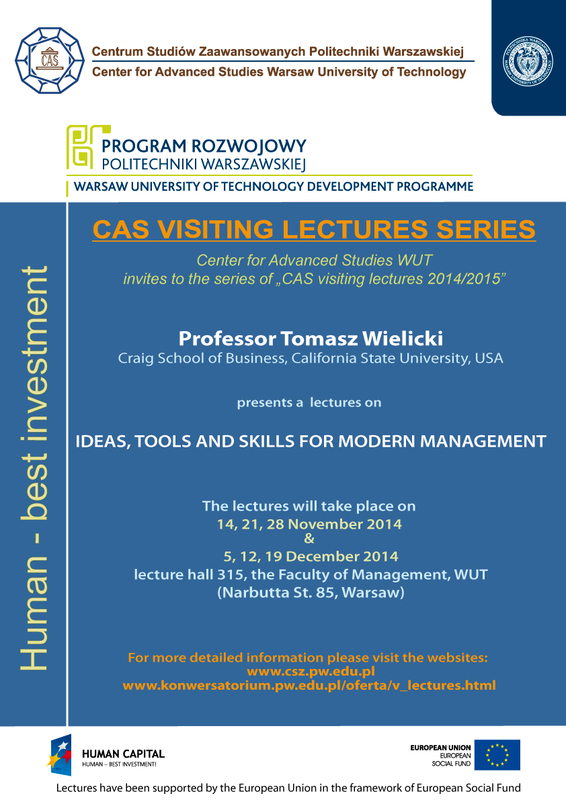 Center for Advanced Studies WUT invites to the series of “CAS visiting lectures 2013″. For more detailed information please visit our website: www.csz.pw.edu.pl.